Get the answers to the most commonly asked rod building questions from our customers, and watch our video at the bottom to learn about our commitment to customer service! But that doesn’t mean anglers don’t have any questions! From advice on rod builds and repairs, to blank recommendations and component inquiries, we get all kinds of rod building questions and it’s our pleasure to provide unique answers to each and every inquiry. 1. What is the Best Kit to Start with? Easy… Get started with All-in-One Turnkey Rod Building Kits! 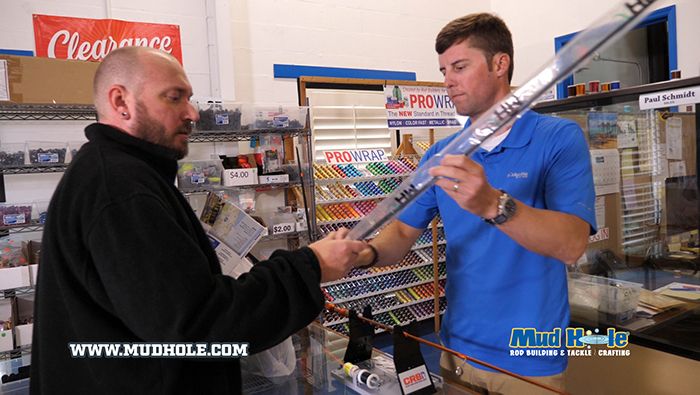 Innovative yet easily understood, Mud Hole’s Custom Turnkey Kits revolutionized the world of rod building by simplifying the process, while maintaining the custom format. 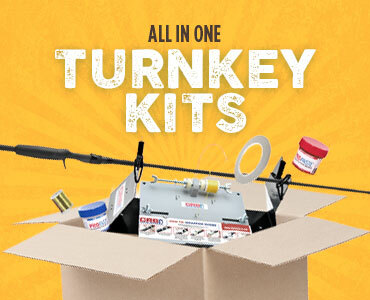 Turnkey Kits allow you to select each fishing rod component until it’s complete, and even includes the necessary tools and supplies, so you can start building your first rod immediately! 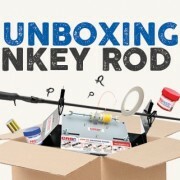 These turnkey rod building kits literally include everything you need to build your own custom fishing rod. From the rod blank, to the components and supplies, everything is bundled up in one convenient kit. Just choose which rod building kit that fits your application, and you will be building your new favorite fishing rod in no time! 2. How Good are the CRB Color Series Blanks? The short answer is… they are GREAT! Featuring 16 redesigned blanks in 12 awesome colors, the CRB Color Series Rod Blanks bring performance and value—in unbeatable custom styles. The CRB Color Series launches all-new rod blanks engineered by experts for enhanced variety of actions, powers, lengths, and of course, amazing colors. Simply start with the rod specifications you are looking for; whether you want a certain length, power, or actions, the Color Series has it all. 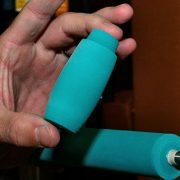 These lightweight, yet powerful rod blanks provide the professional custom builder and hobbyist a dependable rod blank they can rely on for years to come. Plus, all blanks come with a 1-Year Limited Warranty. Browse the 16 new rod blanks and 12 ultra-vivid colors to choose the blank model that best fits your fishing demands and pick the perfect pop of color for your new favorite rod. Whether you want a truck rod for pond hopping, a bass rod for your local lake, or a longer rod for kayak fishing, the Color Series has you covered. Plus, you can now get the COLOR reel seat to match in these CRB Color Rod Kits! Each kit includes the matching color reel seat with your choice of black or chrome hoods. Matching the rod blank with the color reel seat creates a true custom look for your rod build. Then, add the handle material you want, Cork or EVA—in the style you prefer, full or split grip—for the perfect fitting handle that you won’t want to let go. Select either spinning or casting to decide your included components, and then pick black or chrome finish options to match. Between performance and appearance, these high-strength yet lightweight blanks were engineered to provide the custom rod builder the greatest variety of choices with CRB’s legendary value! 3. Can I Call Back? 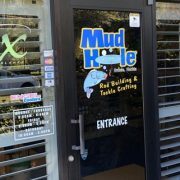 At Mud Hole, we believe true service starts after the product you ordered arrives at your doorstep. So we encourage you to not only call for assistance, but also call back if there’s still any lingering questions! In addition, we follow through on our commitment to excellence with detailed “how-to” videos, printed instructions and back it with exceptional customer service. Our team of service associates are available via phone, e-mail and message boards to ensure your utmost satisfaction! 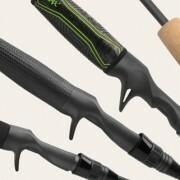 The originality rod builders capture in each of their custom fishing rods is one of the greatest parts. Besides gearing the rod to perform optimally in its specific fishing application, there is something about making a fishing rod and knowing it doesn’t exist anywhere else on the market that makes it all quite rewarding. For most rod builders, no two rods will look the same or even remotely similar. Considering there’s over 30,000 products available to choose from, the levels of customization are virtually infinite. 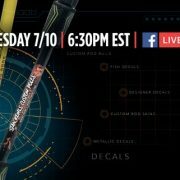 Whether choosing the blank color, the colors for thread wraps, or even adding decals, a custom rod becomes whatever you imagine. With all these options, questions are inevitable and Mud Hole’s help line staff wants to be there with support. Answering questions backed by decades of experience, the help line is all about customer service and solutions. 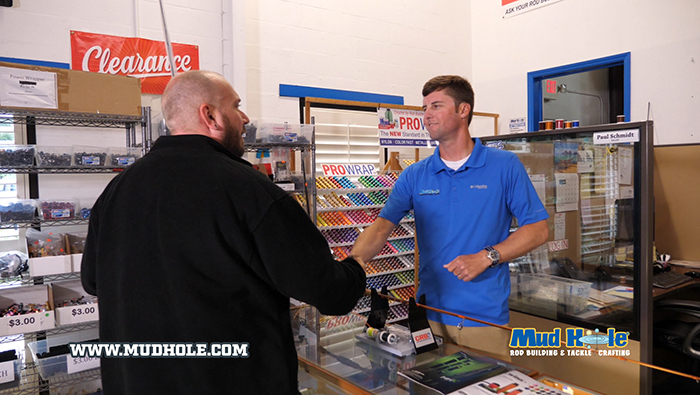 Simply dial 1-(866)-790-7637 or 1-(866)-790-RODS, Monday through Friday from 9 AM to 6 PM or on Saturdays between 10 AM and 3 PM to speak with Mud Holes help line for assistance. Or, if you prefer emailing your rod building inquiries—choose our customer support over email. 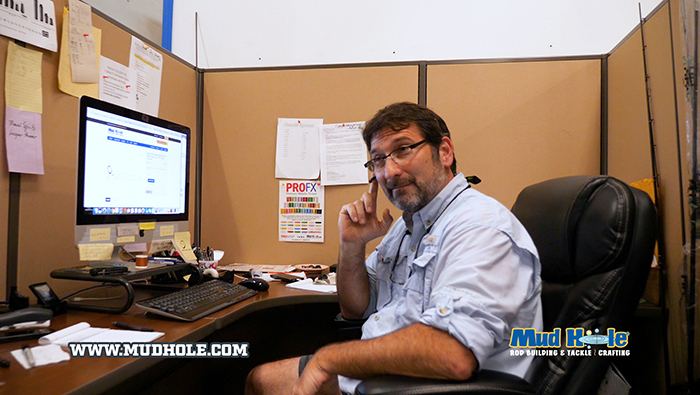 Send any questions to support@mudhole.com, anytime!